Made in China 2025 - Modernizing China’s Industrial Capability. MIC 2025 is an initiative which strives to secure China’s position a global powerhouse in high-tech industries. The aim is to reduce China’s reliance on foreign technology imports and invest heavily in its own innovations in order to create Chinese companies that can compete both domestically and globally. China sees MIC 2025 as a chance to fully integrate into the global manufacturing chain and more effectively cooperate with industrialized economies. Chinese officials have claimed that leading economies with high-tech industries such as the EU, Germany and the United States have expressed their hostility to the initiative due to the fact that it would move China from a low-cost manufacturer to a direct added-value competitor. Made in China (MIC) 2025, originally announced back in 2015, has shot back into focus recently. Trade wars and U.S. tariffs on China have made it even more important three years later. Praised domestically but shunned internationally due to perceived intellectual property abuses, and discrimination against foreign companies, MIC will have huge consequences for most industrialized countries going forward. But what exactly is MIC and how will it affect the global economy? This backgrounder discusses these issues and more. In 2015, Prime Minister Li Keqiang launched “Made in China”, (MIC 2025) an initiative which sets to modernize China’s industrial capability. This 10-year, comprehensive strategy focuses heavily on intelligent manufacturing in 10 strategic sectors (see Figure 1) and has the aim of securing China’s position as a global powerhouse in high-tech industries such as robotics, aviation, and new energy vehicles such as electric and bio-gas. This research and development driven plan is seen as a critical element in China’s sustained growth and competitiveness for the coming decades as it transitions into a developed economy. It also seeks to ensure Chinese manufacturers remain competitive with emerging low-cost producers such as Vietnam. The plan involves replacing China’s reliance on foreign technology imports with its own innovations and creating Chinese companies that can compete both domestically and globally. Therefore, there is a strong emphasis on its domestic manufacturing process where it wishes to increase production, not only on the essential components, but on the final product as well. With a focus on quality, the investment is towards technological innovation and smart manufacturing in areas such as machine learning, where the technology that is difficult to replicate via reverse engineering. Smart manufacturing involves combining the internet with wireless sensors and robotics to improve its manufacturing efficiency, quality, and productivity. If successful, China would move up the value-added chain, repositioning itself from a low-cost manufacturer to a direct competitor to nations like South Korea, Japan, and Germany. MIC 2025 is inspired by Germany’s “Industry 4.0” (I40) and is broadly in line with the German and Japanese approaches to economic development and innovation. I40 is a public-driven national strategy launched in 2013 to “consolidate German technological leadership in mechanical engineering”. I40 is based on the German government’s High Tech 2020 Strategy and is one of 10 key projects within the 2020 Strategy. Over a 10 to 15-year period, the plan is to “drive digital manufacturing forward by increasing digitization and the interconnection of products.” This involves adopting information technology and the internet of things to connect its small and medium-sized companies to global production networks, in turn making them more efficient and competitive. How did MIC 2025 Come About? MIC 2025 is a departure from the 2006 initiative “Strategic Emerging Industries” (SEI), which is smaller in scope, centered on upgrading advanced technologies to secure the position of strategic emerging industries such as renewables and alternative fuels and with those industries initially expected to make up 8 percent of the Chinese economy by 2015 and 15 percent by 2020. Both public and private research and development initiatives would allow Chinese companies to develop cutting-edge technologies in key sectors, accumulate intellectual property and gain access to foreign intellectual property in exchange for access to the Chinese market. MIC 2025 is broader in scope, targeting the entire manufacturing process rather than only technical innovations, promoting traditional industries and services and introducing “specific measures for innovation, quality, intelligent manufacturing, and green production”. Despite public involvement, the project ultimately requires market forces to achieve the desired upgrades and adopt international technical standards and benchmarks. Although there is an overall departure from the SEI initiative, MIC does fall in line with China’s 13th Five-Year Plan (FYP) by seeking “to advance indigenous innovation and build global champions through linkages with other plans”. There is an overlap between MIC and FYP in industry focus and overarching policy direction, with FYP highlighting the “critical importance to the government’s leadership in advancing indigenous innovation, achieving technological self-sufficiency, reaching a secure and controllable standard, and expanding the state’s role in the market.” Further, China’s “Strategy Outline” also corresponds to MIC, with the goal of achieving self-sufficiency in critical high-end materials, high-end medical devices, and patented pharmaceuticals. China seeks to end its reliance on international technology and upgrade its industrial capability and smart manufacturing by ensuring that innovation, product quality, efficiency, and integration drive manufacturing across 10 key industries. Those industries include advanced information technology; automated machine tools and robotics; aerospace and aeronautical equipment; ocean engineering equipment and high-tech shipping; modern rail transport equipment; energy saving and new energy vehicles; power equipment; new materials; medicine and medical devices; and agricultural equipment. Further aims involve developing brand awareness of companies and meeting green development targets. Green development will prove important to the government’s strategies to combat climate change and address the health and environmental impact of China’s industrialization. The focus on branding and product quality is with a view to international expansion and competitiveness. For example, in the agriculture sector, the goal is to establish up to three recognizable brands and up to five internationally competitive companies. Reducing reliance on foreign technologies involves creating and developing companies that can innovate through research and development, dominate domestically, and produce competitive exports. The “goal of raising domestic content of core components and materials to 40 percent by 2020 and 70 percent by 2025” will contribute to self-sufficiency and the end goal of localizing the manufacturing process; however, such targets violate WTO rules. While China is aiming to move up the value-added chain, it also sees MIC 2025 as a chance to fully integrate into the global manufacturing chain and more effectively cooperate with industrialized economies. Even if key targets are not achieved, the initiative will improve China’s “overall economic governance’” and strengthen its financial, education, healthcare, and manufacturing sectors. How will MIC 2025 be achieved? Beijing is implementing regulatory changes and introducing standards for key industries while setting a policy direction to pursue innovation and development. These standards potentially restrict foreign competition in China and provide access to technology from abroad by, for example, requiring banks to reveal their source code and use domestic IP and encryption to meet Beijing’s “secure and controllable” standards. Standardizing practices across entire industries is a priority, with the National Cyber Security Strategy and Cyber Security Law creating a legal framework for the future implementation and update of information technology products and services. Testing and certificate systems will be introduced to raise the quality of products to meet international benchmarks in all key industries, from medical patents to fuel consumption. Central and provincial governments, and state-run entities are cooperating to implement supply-side policies to allow companies to better develop their manufacturing processes. This includes the creation of 40 national and 48 provincial innovation centers 2025 to facilitate partnerships and innovations. The most substantial tool is financial support for key initiatives, including a semiconductor fund for “Xiaomi to develop the company’s first smartphone processor”. Funding from state banks naturally leads to preferential treatment for Chinese businesses. State-owned banks are distributing subsidies, low-interest loans, and bonds, especially for small and medium-sized enterprises. Various agencies and funds also offer direct financial support. For example, $3 billion is available from the Advanced Manufacturing Fund to upgrade technology in key industries, while the National Integrated Circuit Fund has access to $21 billion. Importantly, funding is linked to the use of indigenous IP to push companies to replace foreign IP. The government has also introduced various targets for companies, including an increase in research and development as a percentage of sales from 0.95 percent to 1.68 percent, a 7.5 percent labor productivity increase by 2020, and a 35 percent decline in energy and water consumption per unit of added value by 2025. Leading companies have responded to those demands, focusing on technologies of the future. Intellectual property and capacity appears to have been developed in telecommunications, “wireless-sensor networks, 3D printing, industrial e-commerce, cloud computing, and big data”. Permits and licenses are being granted to Baidu and other companies to test their self-driving vehicles, while Baidu itself launched “Project Apollo”, a platform that provides hardware and open source code for other manufacturers to develop their own vehicles. Furthermore, the government is facilitating access to materials and providing subsidies for companies pursuing electric batteries. The government has also instructed businesses to develop their international brand awareness and become “more familiar with overseas cultures and markets” and “strengthen investment operation risk management”, with the aim of encouraging international investments and acquisitions. Between 2005 and 2016, Chinese companies invested $13.6 billion in Germany and $135 billion in the U.S., giving them access to IP and joint ventures with businesses that have already achieved the desired automation and innovation. This, however, involves direct state funding of private equity, which is used to facilitate the investments. In the information technology industry, takeover offers surpassed $35 billion in 2015. International partnerships and acquisitions, with significant public funding, are the primary tool for accessing foreign intellectual property, which is then used to further enhance the capabilities of Chinese companies. Ocean engineering developments are linked to Beijing’s security concerns in the South China Sea, while advancements in aerospace are borne from their pursuit of space exploration and satellite engineering. In 2017, China’s first commercial passenger jet, the C-919, was completed, having been developed as part of long term ambitions to compete with Boeing and Airbus. In 2017, China bought 300 Boeing planes for $37 billion. China’s rail industry has already generated exports to Asian neighbors, while innovations and expansion are set to be pursued via the One Belt initiative. This is a strategy it pursed with the creation of the China-Community of Latin American and Caribbean States Forum. Investments of over $100 billion in South America in the 10 key industries have led to joint ventures and generated manufacturing and service-based exports for Chinese companies. In the pharmaceutical industry, the long-term goal is to reduce China’s reliance on foreign producers. With the Chinese health market second only to the U.S., in addition to the national health and security risk that its large and ageing population poses, government backing for developers will prove crucial. It would give domestic companies a better opportunity to develop into industry leaders, create new medicines, receive more patents, and eventually dominate the Chinese market. Requirements to register IP with local entities will give Chinese companies access to patents they do not have. Attracting foreign investment and liberalizing the market is the current priority, as confirmed by the introduction of global testing benchmarks and the permissibility of using drug trial data from outside China for distribution requests. However, market consolidation appears to be the outcome as smaller companies are increasingly priced out of the market. MIC is leading to an expansion of the government control of the key industries as it dictates policy and incentivizes research and development and the modernization of manufacturing. Beijing is changing the traditional business relationship of Chinese companies, encouraging investment, consolidation, and access to foreign IP. State-owned entities, particularly with those that overlap with MIC 2025 sectors, have begun to merge. This, combined with large multinationals already implementing the government’s development strategy will help with the creation of national champions that can more effectively compete with international multinationals. What are the Risks to MIC 2025? The main difficulty for China is the pressure its manufacturing industry faces from two sides; the more industrialized economies of Japan and Germany and the low-cost manufacturers in India, Brazil, and others. This makes an effective strategy difficult to implement, particularly one of this scale. State officials recognize that even a successful MIC 2025 would only partially develop Chinese industry relative to Germany and Japan’s level of industrialization. The scale of ambition could lead to market consolidation by larger firms and government entities. In the pharmaceutical industry for example the new safety and testing standards are sufficiently costly for smaller companies meaning that mergers and acquisitions are highly likely. Fewer competitors and the proliferation of smart manufacturing may place strains on employment, potentially creating the conditions for social and political unrest. In any case, most of China’s companies are “not prepared for such a deep and sudden technological transformation”, which means that only a select few companies will be able to meet the government’s targets. 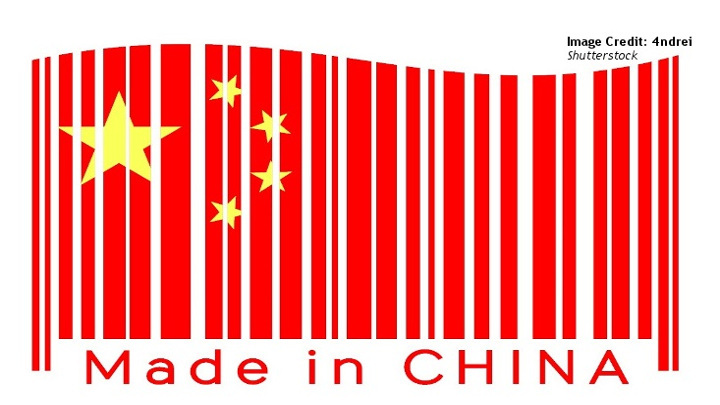 Those companies will expand their international presence and competitiveness while facing limited competition in China. Nevertheless, the increased likelihood of poor management of risk and failed ventures could result in considerable problems for those that overextend. Fears over Chinese expansion and dominance in strategically important industries has inevitably led to strains between Beijing and western governments, increasing the likelihood of retaliation. Chinese officials have claimed that leading economies with high-tech industries such as the EU, Germany and the United States have expressed their hostility to the initiative due to the fact that it would move China from a low-cost manufacturer to a direct added-value competitor, while shutting out international competition in the Chinese market. The European Union Chamber of Commerce in China described the plan as a regression to “top-down decision-making” while the U.S. Chamber of Commerce suggested it was a “strategy to use state resources to alter and create comparative advantage in these sectors on a global scale”. For the U.S., the fear is that American companies will lose their competitiveness because MIC 2025 provides “preferential access to capital to domestic companies in order to promote their indigenous research and development capabilities, support their ability to acquire technology from abroad, and enhance their overall competitiveness”. Washington is especially concerned with apparent advantages gained in pursuit of new energy, self-driving vehicles, and aerospace equipment. Political backing in Beijing and access to billions in funding to support industrial upgrades in various sectors are likely to reduce the competitive advantages companies and sectors in developed economies enjoy. In contrast to the billions made available by Beijing, Germany, for example, has only contributed €400 million in research and development funding. Donald Trump’s decision to impose tariffs on $50 billion of Chinese goods imports, and the potential targeting of an additional $100 billion is aimed at neutralizing the advantages enjoyed by Chinese companies and punishing the “unfair competition” China is engaged in, particularly as the U.S. attempts to revive its own manufacturing industries. The Trump administration is now considering expanding those sanctions to specifically target China’s 10 key industries. Imposing 25 percent tariffs would punish Chinese companies for “IP theft” and slow down IP transfers via market access and partnerships. Restrictions on Chinese investments in U.S. technology companies are also planned. As made clear in the 2018 National Security Strategy (NSS), the U.S. sees China as a revisionist state that directly threatens American security and prosperity. Under Trump, the U.S. appears willing to contain “China’s ascent in advanced industries”. In response, China is willing to grant further market access for American companies.